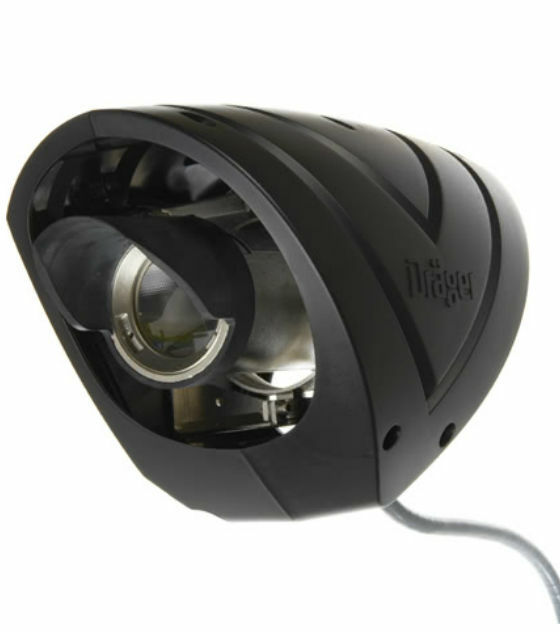 The Drager Polytron Pulsar 2 is the latest infrared technology in open path gas detection. 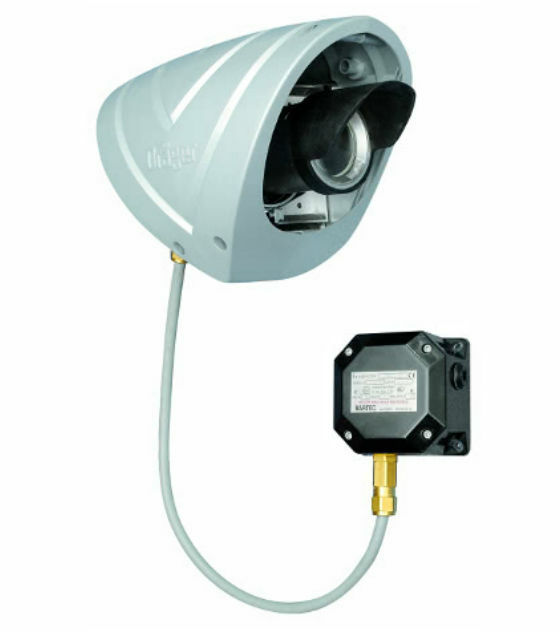 Equipped with all the same functions as the standard Drager Pulsar, Pulsar 2 is fitted with an ABS moulded cover and is supplied with either a junction box or certified connector to provide complete flexibility during installation. Designed for one man installation and commissioning through use of a hand-held terminal the Pulsar 2 transmitter and receiver can be accurately aligned, gas level zeroed and commissioned with maximum efficiency. The factory calibration of the Polytron Pulsar 2 makes manual setting and test gas superfluous. The detector is designed so that no fault remains undetected. During normal operation, the output signal is between 4 to 20 mA, depending on the measured gas concentration. A signal of < 1 mA represents a fault due to a constant beam block or hardware failure requiring immediate attention. However, a signal of 2 mA identifies a beam block and will go to fault if this persists for more than 60 minutes. The Pulsar will also output a 3.5 mA signal to indicate pre-warning where the optics may be dirty or miss-aligned. During the period which the Pulsar displays "Pre-warning" it will still detect gas allowing the customer to schedule maintenance on the detector therefore reducing down time. With no unrevealed faults, the Pulsar 2 is SIL 2 capable. The receiver logs records and details a report of the last seven working days and a summary of the last 32 weeks. These reports contain important information such as measuring values, i.e. "beam block", gas readings, warning signals, signal strength, adjustments, supply voltage and operating temperature. The optional Polytron Pulsar Software can provide easy access to configuration, current measured values and the internal data-logger from a non-hazardous area through Digital Communication. For large and complex installations, the Pulsar software can allow integration of several devices via the AI5000. Up to 32 AI500's can be multi dropped; therefore allowing access to up to 128 pulsars - useful for planning service and maintenance measures. The Pulsar receiver communicates to the transmitter via a digital link which allows the receiver to identify and adjust to fluctuating environmental conditions. The microprocessor built into the receiver unit instructs the transmitter unit to increase the flash rate for increased performance and accuracy. The Pulsar is immune to influences such as sunlight, gas flares, arc welding or resonance effects due to vibrations of rotating parts, as well as to environmental influences such as mist, drizzle or snow. The flash rate is also increased upon the detection of gas to ensure both accuracy and fast response. Regulated internal lens heaters protect against build up of ice and snow under adverse weather conditions. They also prevent condensation on the lenses eliminating interference with the measurement function. The HART-Communication of the Polytron Pulsar allows for digital communication between the explosion-proof and the secure areas. Without additional cabling, you can obtain real-time access to the status of individual detectors and to the configuration and historical data of each device. 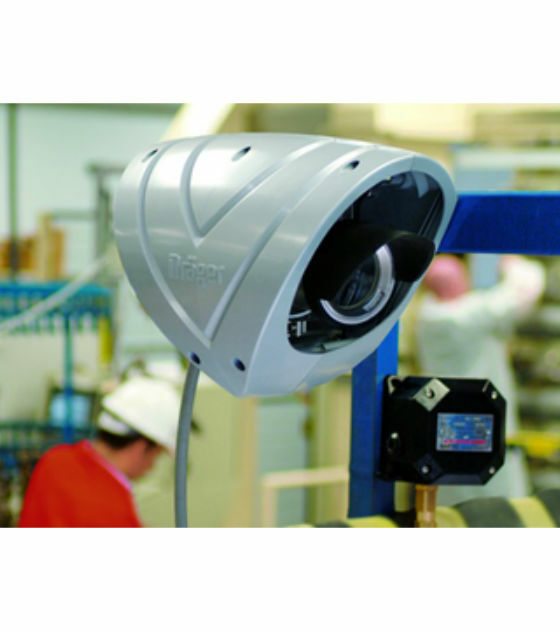 The Polytron Pulsar Duct Mount holds a performance approval from FM, and global product approvals including ATEX, IECEx, CSA and UL.